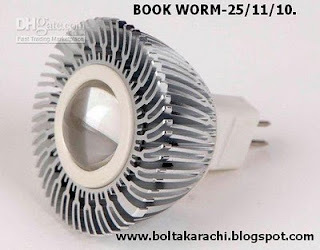 Led Bulbs are solution of our load shedding . HomeLed Bulbs are solution of our load shedding . Its fact the short fall of electricity is approximatively 3300 Mega Watts in our country . We have 2 solutions either we produce it or save it. To save 3300 MW . We need to replace our tube lights to LED bulbs . one 4 feet tube light consume 40Watts and to replace this tube we need 7 watts LED bulb . By replacing every Tube Light we can save 33Watts of electricity . The Price of the 7 watts LED Bulb with 10 year guaranty is US$ 10 per piece . We would need 10 Karor such bulbs and the total cost of project is One Billion US Dollars . 100 million X 10$ = 1,000,000,000.
a factory in Pakistan for this purpose . I hope China will happily accept this proposal but our leaders would not .